For general information or questions and comments, contact Editor and Publisher Ed Doyle at 215-997-9650 or e-mail him at edoyle@todayshospitalist.com. For information about the articles in Today’s Hospitalist magazine or on the Web site, email Executive Editor Phyllis Maguire at pmaguire@todayshospitalist.com. Have an idea for an article or one you’ve already written? 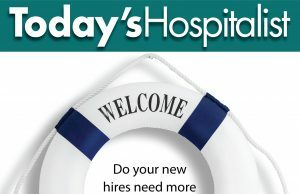 Submissions should be sent to Today’s Hospitalist Executive Editor Phyllis Maguire at at pmaguire@todayshospitalist.com. For information about product advertising, call Vice President of Sales Jeffrey Berman at 866-695-3870 ext. 12. For more information about recruitment advertising, call Recruitment Sales Manager Kristin Vinciguerra at 866-695-3870 ext. 15 or e-mail her at krubia@todayshospitalist.com. For other inquiries, contact Associate Publisher Ashley Centola at 866-695-3870 ext. 13 or at acentola@todayshospitalist.com.